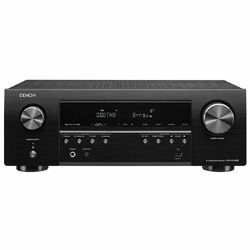 The new 5.2-channel model AVRS540BT which I managed to get on the review is based on the design of the best Denon receivers and combines high sound quality with progressive video features at a very competitive price. 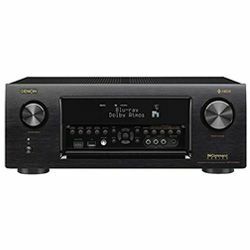 I made my Denon AVRS540BT review to show all advantages and disadvantages of budget solution from Denon. The Denon company used its recognizable design in this model: a black matte case with perforations on the sides. The front panel is occupied by 2 large knobs, an informative display, and setting buttons. Slightly below the controls, there are the single USB port, a full-size headphone jack, and a power button. The rear wall of the case is occupied by various ports. 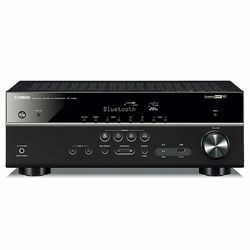 There are 5 HDMI 2.0 inputs and 1 output, analog, and digital (optical and coaxial) for connecting equipment (CD player, etc). To connect user`s home audio system, there are 5 spring terminals and 2 subwoofer outputs. Denon AVRS540BT has a lot of software features, for example, an informative and intuitive graphical interface which simplifies receiver setup. With the help of the Setup Assistant, it is possible to connect quickly and the tune entire home multimedia system. AVRS540BT is focused on wireless music playing and thanks to the integrated Bluetooth connection, users can listen to music on the AVRS540BT with high sound quality, simply by connecting their smartphone. The receiver can memorize 8 Bluetooth devices. The AVRS540BT has a unique Denon 500 Series Remote mobile app for controlling the receiver from the mobile device via Bluetooth. Free application available for Android and iOS devices. The kit also can be considered as a feature. The package includes a measuring microphone designed to handle the acoustic parameters of the home multimedia system for the best sound quality. 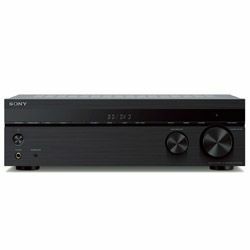 Thanks to discrete amplifiers, the AVRS540BT delivers output power 70 watts per channel. In work with video, the receiver poses itself as an excellent complement to a home multimedia system. Thanks to 2nd generation HDMI, the receiver can play video in 4K UHD with support for HDCP 2.2 and HDR technologies. 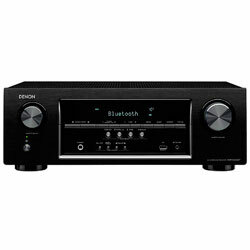 Denon AVRS540BT specs allow the receiver to work with a high-resolution video without any problems. So it is worth noting the high frame rate of the image (60fps), which will be indispensable in working with game consoles. The AVRS540BT provides well-balanced frequencies. There is no palpable dip in the mid and low frequencies. The dialogue clearly stands out, it is not in the effects and noise that occurs in movies, games, etc. The sounds of voices from all the characters are transmitted wonderfully. Denon AVRS540BT has no problem tracking all aspects of the surround field. The amplifier also supports “stereo mode” for listening to music via CD or via Bluetooth for greater clarity and focus. The AVRS540BT has enough ports for connecting external devices for everyday use. 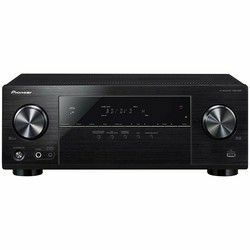 Although the receiver does not have wide support for WI-FI and Ethernet, Bluetooth is enough to use the receiver as a home music center. Setting up the receiver is very simple. 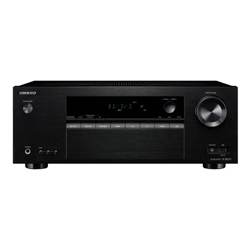 Denon's balanced firmware allows fine-tuning the AVRS540BT to fit all user`s needs. The built-in setup assistant simplifies the process of setup. The convenience of using of the device is also enhanced by the presence of 4 function buttons on the front panel for direct selection of a signal source and the activation of settings. And when you connect the Denon AVRS540BT to Smart TV, its work can be controlled from the standard TV remote. 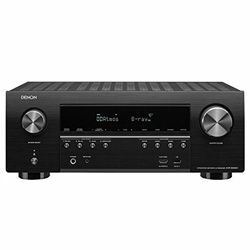 Denon AVRS540BT perfectly combines high performance and maximum ease of use, making home theater easy and affordable but with all the new technologies to meet the growing needs of users.